The USO named its top volunteers for July, August and the summer quarter. Terran Jacobs was named Summer Volunteer of the Quarter. 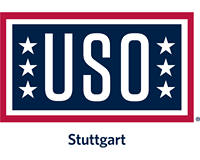 In her short six months at USO Stuttgart, Jacobs volunteered for the USO’s Spring Eggstravaganza, National Grilled Cheese Day, Adventure Race, Stuff Your Face, SHARP Burger Burn, Mother’s Day and National German Chocolate Cake Day. She also took a leadership position for National Walking Day, the United Through Reading program and Christmas in July. 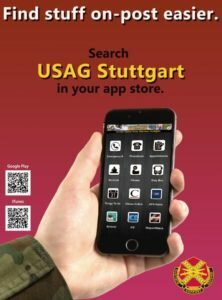 Her unflappably positive spirit, can-do attitude, and desire to do more help USO Stuttgart to continually be its best. Read more about Jacobs here. With more than 40 volunteer hours in August,Wadell Vann has been the USO’s go-to man for all projects big and small. He recruited three strong people to help move a filing cabinet when the elevator was out of order, he scrubbed our kitchen top to bottom so it shined like new. He put up art, organized the basement and stocked sodas. Dell will cover the front when needed and greet everyone with a smile. He’s our enforcer of the no drinks policy at the computer in the politest way possible. Thank you, Dell, for all of your hard work. Tori Bogue was recognized as the July 2018 Volunteer of the Month. Bogue volunteered for events on every installation in the garrison footprint since she started in May, including carving a watermelon into a hedgehog today for National Watermelon Day. Read more about her on the USO-Stuttgart website. Come to the USO Center beginning at 8 a.m., Sept. 14, for National Play-Doh Day. Demonstrate just how creative you are. There will be Play-Doh to play with until 6 p.m. and colorful snacks will be served 11 a.m. to 1 p.m.
Departs Wednesday, Oct. 3 at 5 a.m.; returns Monday, Oct. 8 at 11 p.m.
Book your trip to bonny Scotland. Departs Saturday, Oct. 27 at 5 a.m.; returns Sunday, Oct. 28 at 10 p.m. Commemorate the end of WWI on one of its biggest battlefields. Have you signed up to volunteer with the USO yet? To become a volunteer, register at to begin the volunteer onboarding process, then attend an orientation to learn more about how to become part of the USO family. 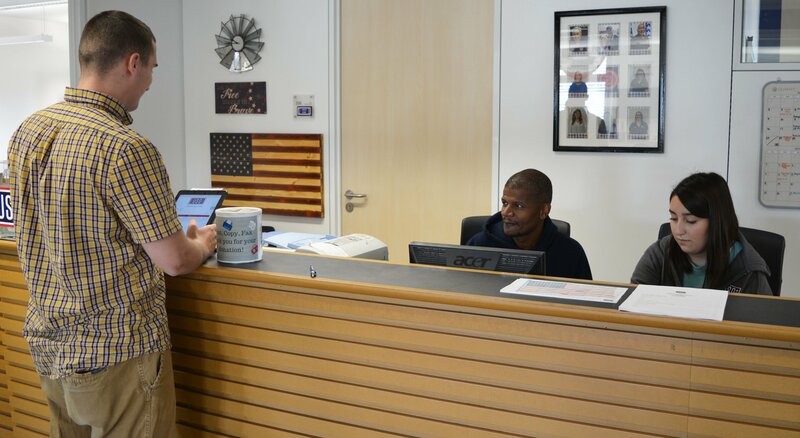 Visit the USO Center on Panzer Kaserne, located on the 3rd floor of Bldg. 2915, and open weekdays 8 a.m. – 6 p.m. and Saturdays 10 a.m. – 2 p.m.